The world of the Roman Empire offered extensive cultural expectations about how families should live. Some passages from the New Testament reflect these values of social stability, but at the same time, other passages make strong statements that seem to be against the family. 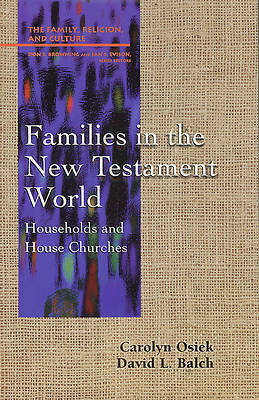 What was the family like for the first Christians? How did they combine their family values and their new faith? When there were conflicts between family and faith, how did early Christians make choices between them? Informed by archaeological work and illustrated by figures and photographs, Families in the New Testament World is a remarkable window into the past, one that both informs and illuminates our current condition.